Jodi, Steve and Scott are in Minnesota for a family wedding and came up to Baudette for a visit. They picked a good time as we are having a very good run of nice days. Some days are a little windy, but after the September we had, we are happy with October. Monday afternoon, Jodi, Steve, Scott, Diane and I fished the river for a couple hours. Fishing has been slow the past few days, but we’ve managed to get enough to eat. 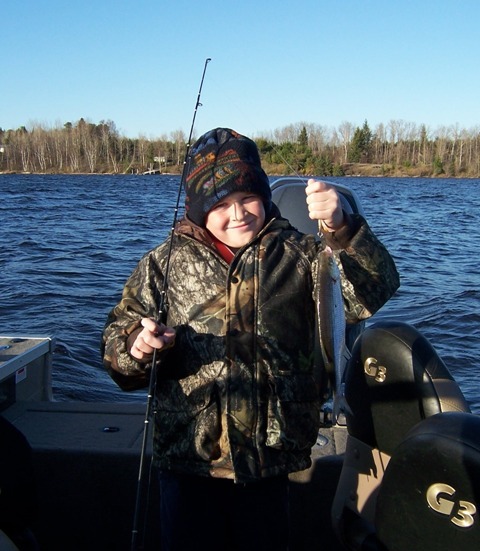 Jodi and Diane managed to get two nice walleyes and two saugers to bring home. The boys, well, were along for moral support. Tuesday, we didn’t fish; a little two windy. Steve, Scott and I went for a walk in the woods looking for a partridge. We didn’t see any, except for one that was in the back yard in the morning. Wednesday, we all went fishing again; late afternoon. It was a little windy, but calmed about 5:30; fishing was slow. Steve and I each caught a nice walleye. Scott and Steve each caught a mooneye. 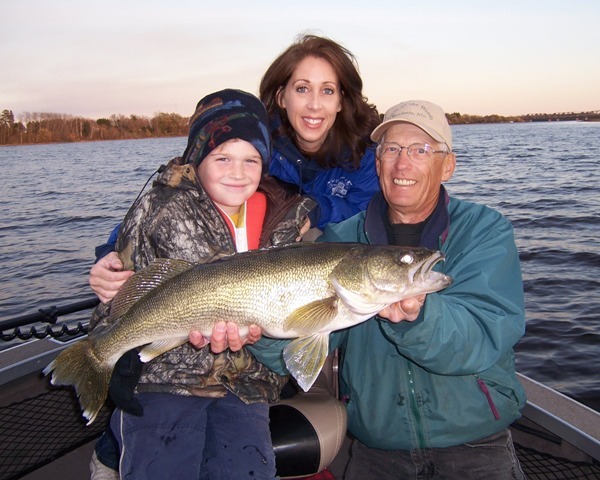 Jodi outdid us all with a beautiful 28-1/2″ walleye that we took pictures and released.